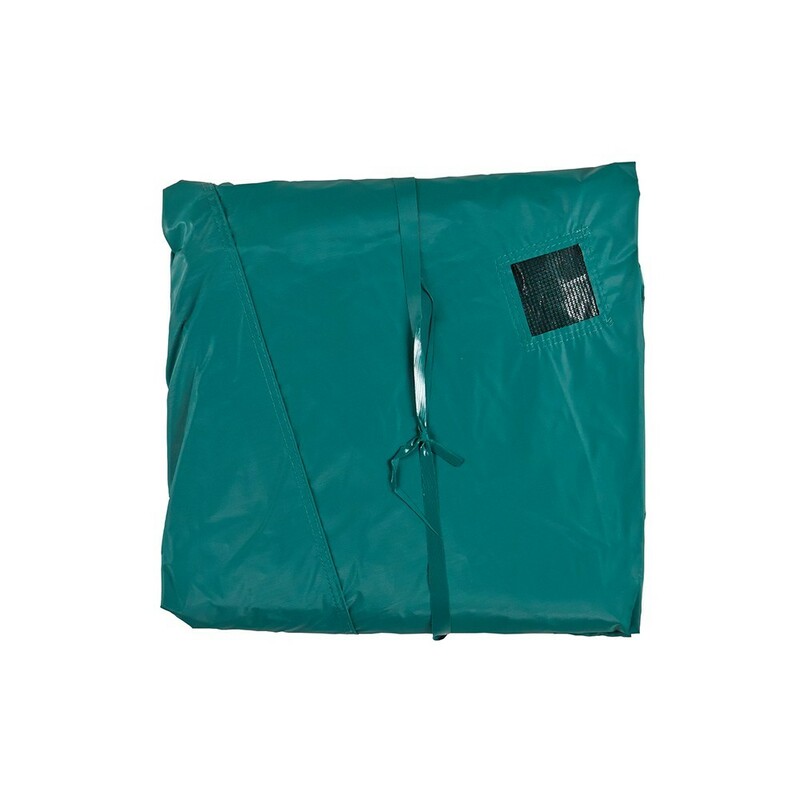 6ft Winter cleanliness cover for 180 trampoline. 6ft Protective cover for 1.83 m in diameter trampolines. 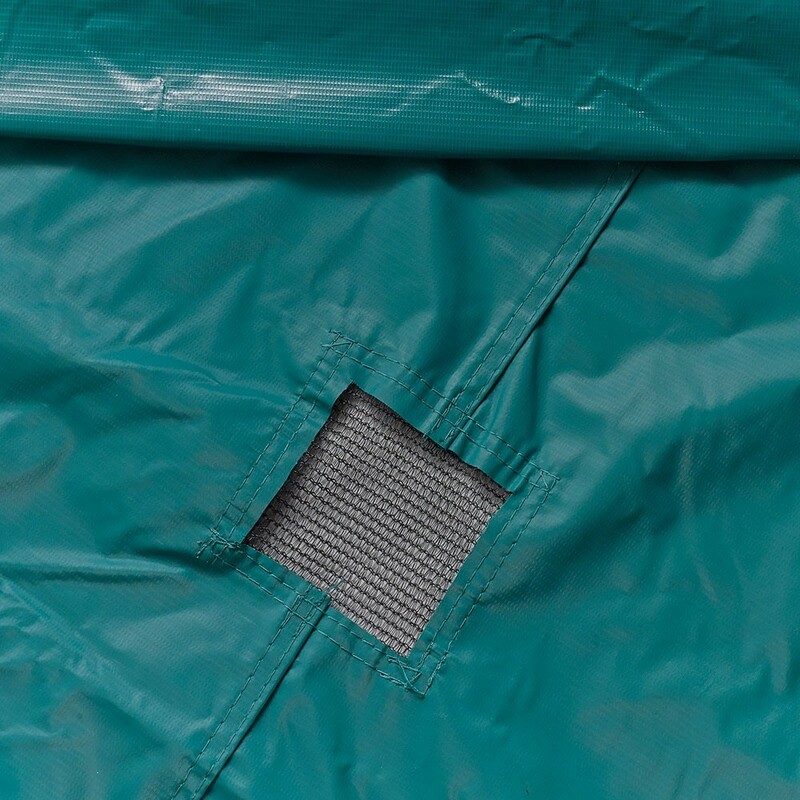 Designed for round 6ft/1.83 m trampolines, this protective cover protects your trampoline effectively from the weather which can dirty or damage your trampoline. 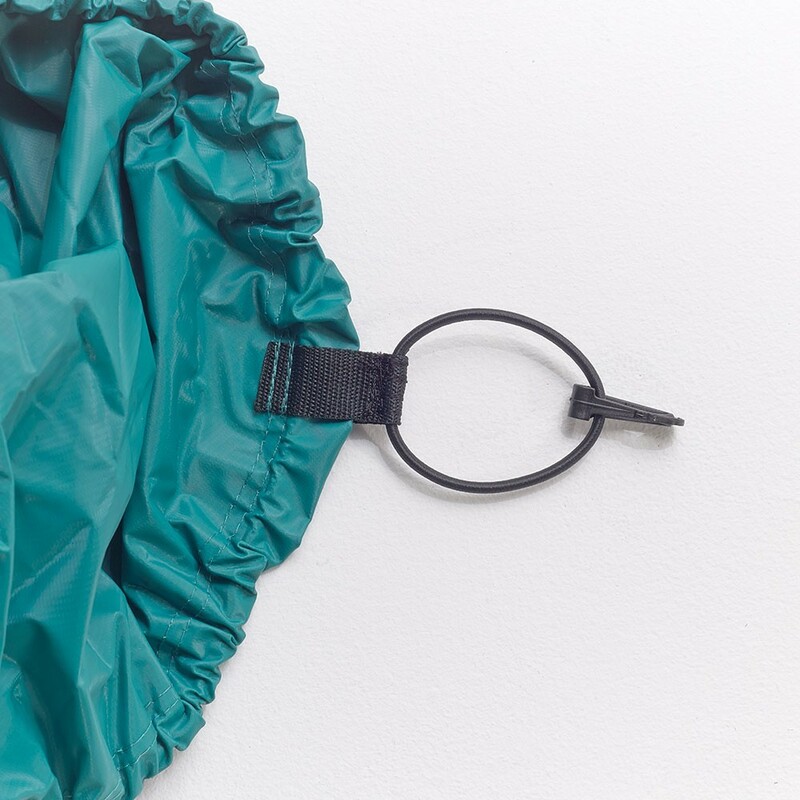 The cleanliness cover is useful all year round but is more useful during the rainy season. 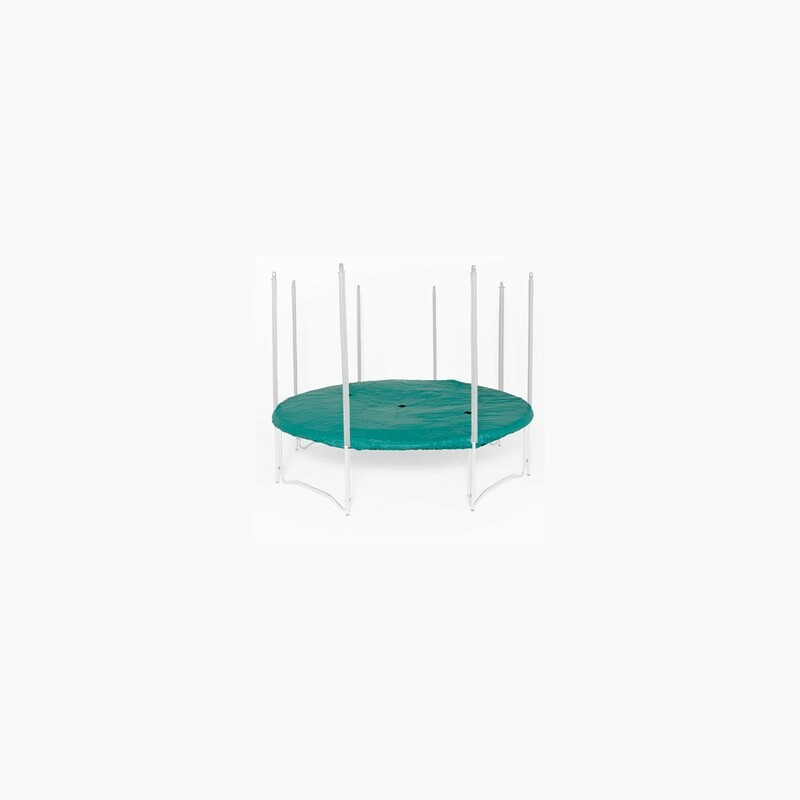 - This cover is adapted to all round trampolines of 1.83 m in diameter (from exterior edge to exterior edge of the framework). 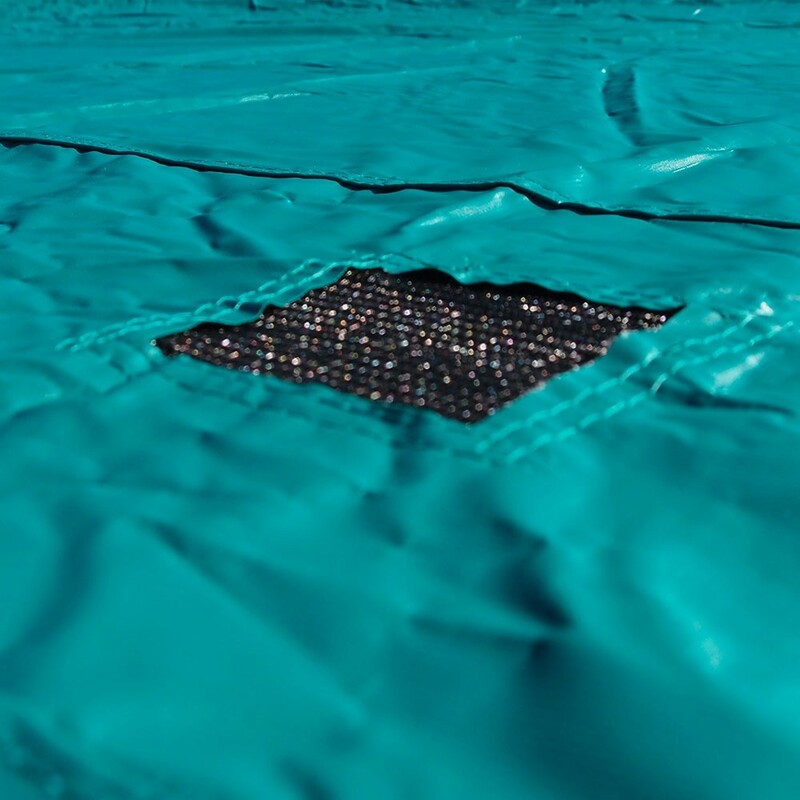 - There are also 3 water evacuation holes (black mesh grids) on the center of the cover, so that rain cannot stagnate on the trampoline. 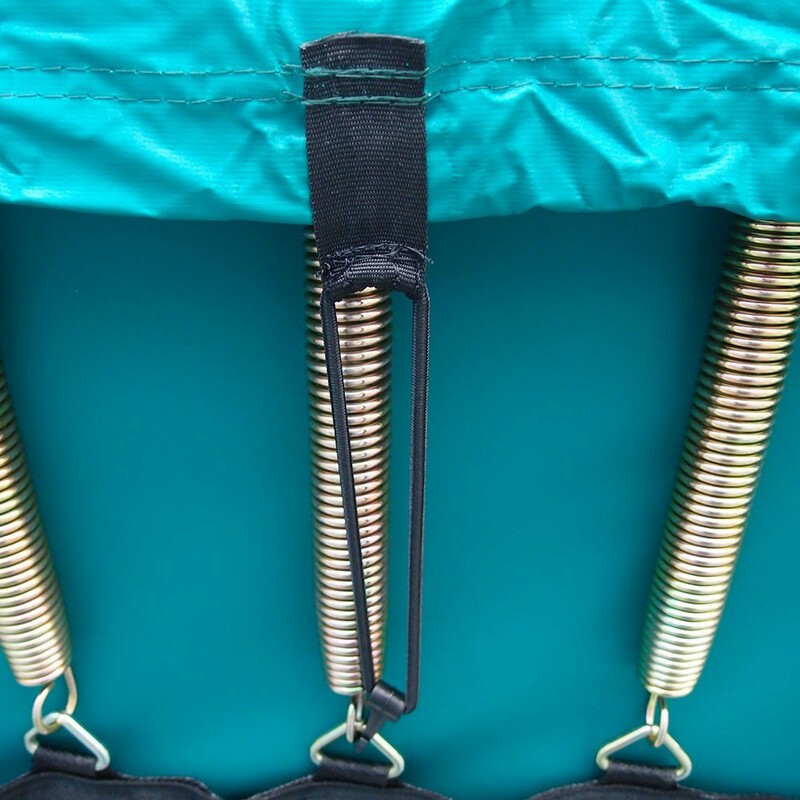 This protects the springs of your trampoline from stretching and allows them to retain their dynamism. - The cover is attached to the trampoline using a straps and hooks. - It will blend perfectly into the surroundings of your garden, due to its green colour. Mainly used during winter months, it can also be used during the rest of the year, especially if your trampoline is not being used for long periods of time for example. If you go on holiday during the summer, we would also recommend using it to protect your trampoline from UV light. comme la pose de l'élément est récente, je ne peux évaluer l'usure du produit, mais la qualité semble bonne. Bâche trampoline bien adaptée aux dimensions et paraît de très bonne qualité. Une housse qui semble solide, elle s'adapte très bien au trampoline et elle est facile à mettre.